Ming Dynasty chair of glazed ceramic. Upside down heart motif Hand sculpted. No makers mark. 8"x 5"x 3.5"
Thank you for submitting your item for appraisal. 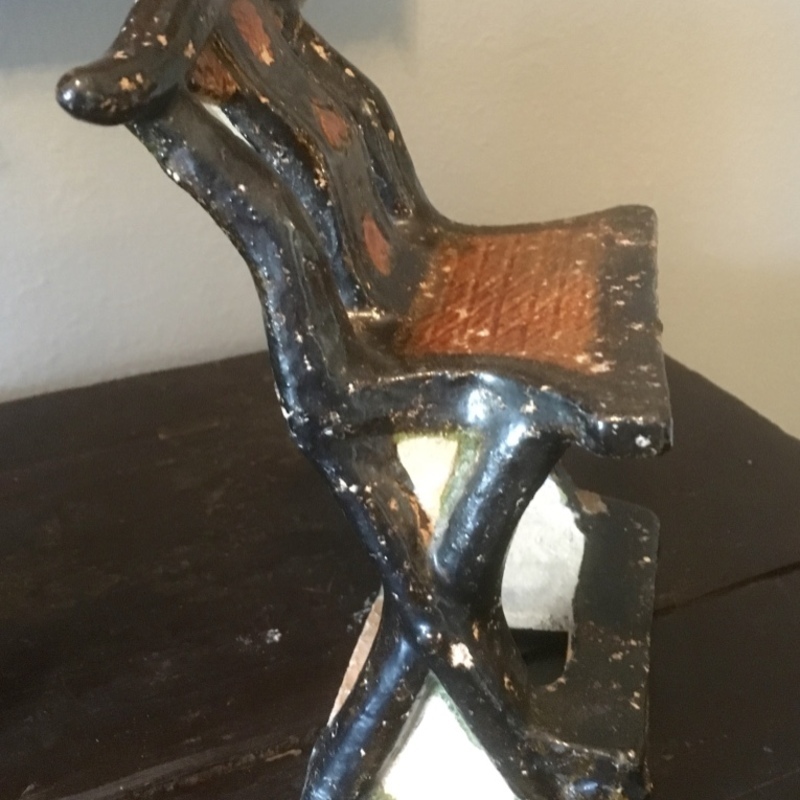 This appears to be an earthenware miniature chair, glazed in dark and light brown glaze, in the manner of late ming dynasty tomb furniture. The chair has the shape of a yoke-back chair with carvings and a woven cane seat. Such tomb furniture has a long history in Chinese culture. The chair model in your possession might be authentic, but the current demand in such items is rather limited. The estimate is based on recent auction results. As always "asking prices" in the trade can be higher and vary. The insurance appraisal for this item is $200.